In 1968, Marshall McLuhan published his famous work that saw the world as a global village. At no time more than the present have his prescient utterances and theories had more meaning and context. Today, we do live in a global village: people routinely Skype each other from the four corners of the planet. Mobile handheld devices have created demands for, and expectations of, immediate communications and responses. Bloggers are not limited to their geographic location: their comments can and indeed are emitted around the world in seconds and result in debates and discussions with followers thousands of kilometres away. National boundaries are increasing irrelevant to this global discussion, this exchange of views, comments and information. The digitalization of all forms of documents, art, music and videography has meant that these forms of expression have also succumbed to this global phenomenon. Millions of documents, songs, movies, computer games and software are routinely shared by people around the planet every day. The vast majority do not actually know the persons with whom they are sharing such works. And so, We live at a point in history where there is the greatest sharing of information, culture, music, art, and discourse that has ever existed in human history. Every day that passes, this sharing increases. Thus, we live on the verge of a revolution, probably no less profound than the Reformation, the Renaissance or the Industrial Revolution . Indeed, one can easily argue that the current revolution (let’s call it the i-Revolution) is of greater import in that it has unified humanity in a way that no other movement or development in history has done. Central to this iRevolution is the ability to freely express and the ability to freely share information. 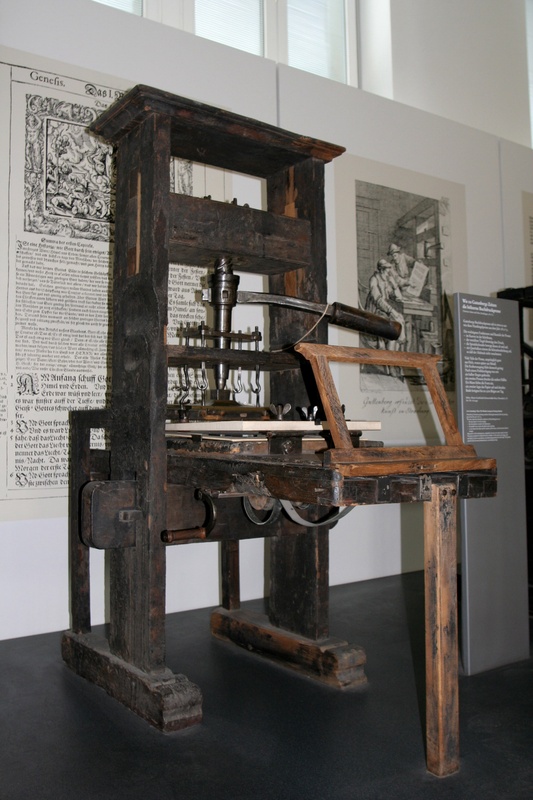 Just as the printing press was central to the Reformation, the capability to share freely is integral to this modern movement. Butting up against this iRevolution is the legal invention called the copyright. The copyright was the ultimate response of the Crown to the development of the printing press: it was literally the right to copy. The initial responses of the Crown in 1600’s were to limit or try to control the use of the copying machine – namely, the printing press. Like their 16th century predecessors, the modern defenders of copyright seek to impede or limit or even entirely extinguish the world’s ability to share works that are ths subject of copyright. Regrettably, their defences wil only serve to slow the progress of the iRevolution. Because of the limits of national sovereignty and the practical limitations of legal instruments against the parabolic rise of technology, the concept of copyright as we know it, the 1710 creature of Queen Anne, is doomed to extinction. In the interim, the iRevolution will continue to advance and this global sharing and rise of free expression will continue to mount. Those who are involved in the development of laws and the interpretation of laws must take notice of the reality that the iRevolution is unstoppable. It is and increasingly will be central to the advancement of humanity. It is and increasingly will be integral to the new economies. The concepts of copyright and the understanding of the notion of freedom of expression must keep step with the new realities. In future posts, I hope to examine the dawning realization of the courts that the Internet is of fundamental importance to our society as the printing press was to us over the last five hundred years or so. Who knows? Maybe in addition to constitutional protections of “freedom of the press”, we will one day find a constitutional entrenchment of “freedom of the Internet”?